Earlier this week, we celebrated St. Patrick's Day and the First Day of Spring. Both celebrations are fitting of this week's 52 Snapshots of Life Photo Challenge theme. It's a year long challenge hosted by The Lazy Pit Bull and each week there is a new word you have to capture on camera. This week's word and theme is GREEN. Easy! Shiner enjoyed a nice taste of green this week. She enjoys munching on chutes of grass every now and then. Proof that Spring has sprung, finally. We also made a couple of green friends for St. Patrick's Day. 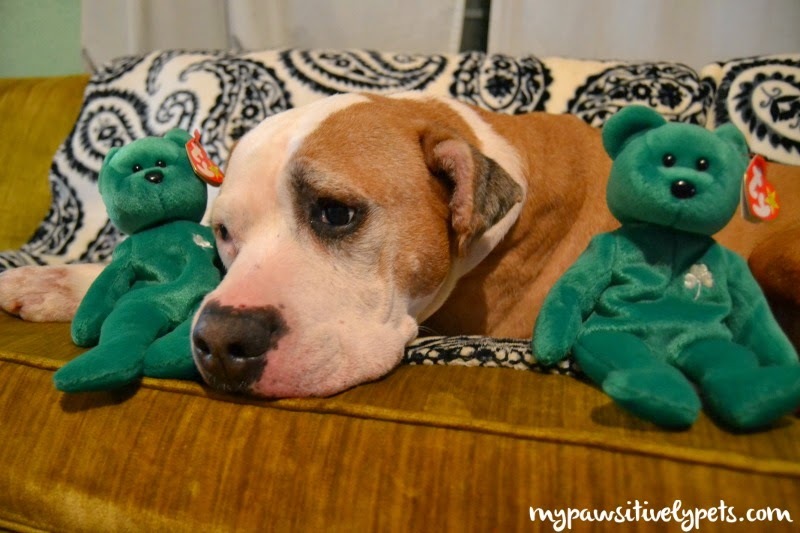 Shiner made friends with two green bears. 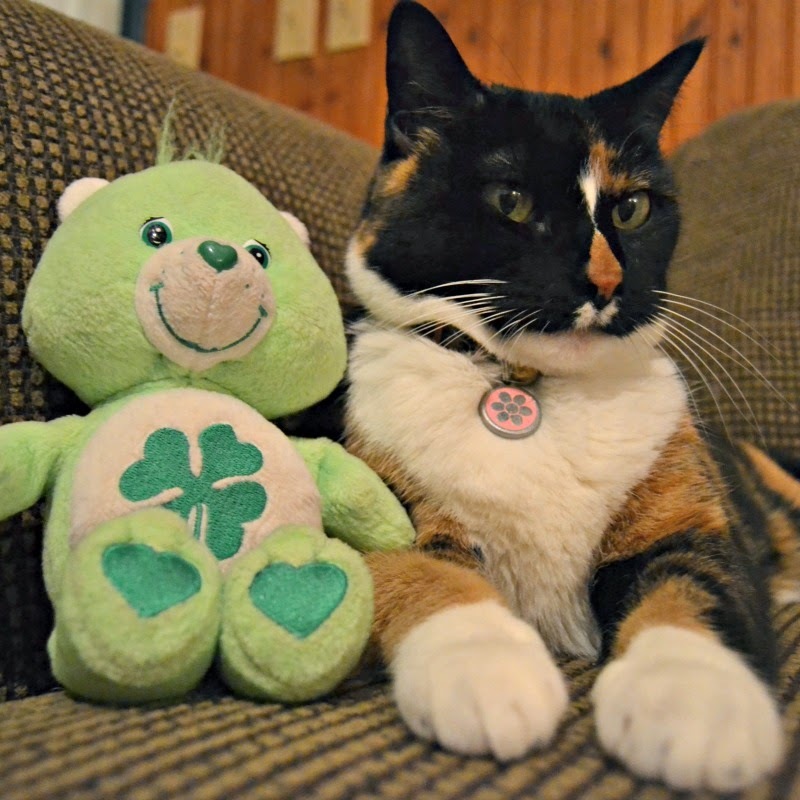 Callie also made a green friend for St. Patrick's Day. I hear he's a pretty lucky guy. 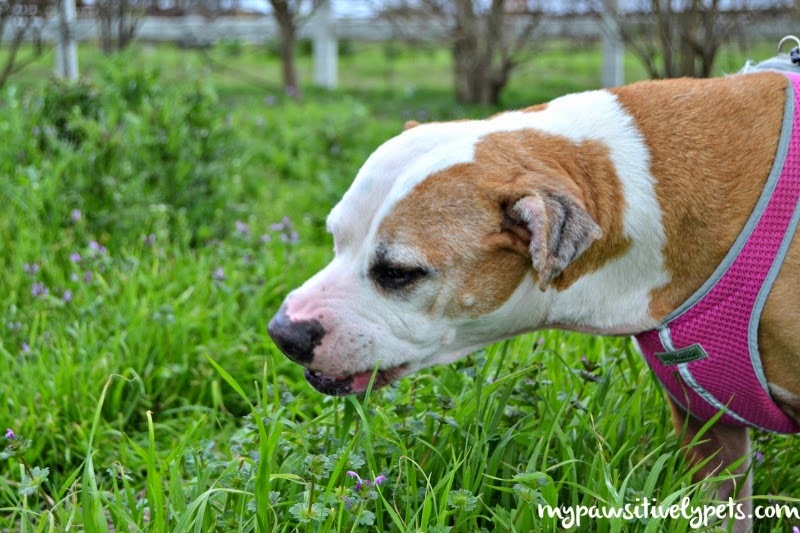 Shiner is enjoying the sweet Spring grass! Callie looks skeptical. Great pics! With all the snow we still have, finding green here would be harder! You both really do look good in green! Purrfect green! We wish our yard was that green too! Our grass is still kinda brown. We can't wait for it to turn green. Shiner looks good around green :) Callie too! This is the first time I think I've seen Callie's frontal view - she is amazing to look at - green accessories and all! Loving that picture of Shiner in the grass! We are certainly ready for the outdoors to get a bit greener around here! It was nice this weekend, but it's a bit chilly this week again. Great green photos- nice to see grass, I almost forgot what it looks like. We have been having a very green time of it as we are making the most of our park now it is mild and sunny. Have a marvellous Monday. Great green, guys! Since last night we have all white outside again, but still can find some green in the house. Green is The Mom's favorite color! It's been nice because there is GREEN everywhere with Spring finally here!!! Whoa! We haven’t seen green grass in forever. Thanks for posting some. Callie has huge paws for a dainty little girlcat. It's been a long time since I saw a Care Bear! Lots of nice green grass, it's so good to see it again! I'm doing a little bit of 52 Snapshots catching up and am really glad I came to see Shiner munching the grass. She and Wilhelm would be fast friends. I saw the Care Bear photo on Instagram what seems like forever ago- too cute!